The BMA presents an exquisite selection of late 19th to 21st century kimono and obi never before on view. These stunning garments were made after the lifting of sumptuary laws during Japan’s Edo period (1603–1867) when commoners were forbidden to wear showy clothing with colors like red or purple. The Meiji Era (1868–1912) coincided with increased prosperity as Japan entered the industrial age and this newfound wealth was often expressed in lavish garments. 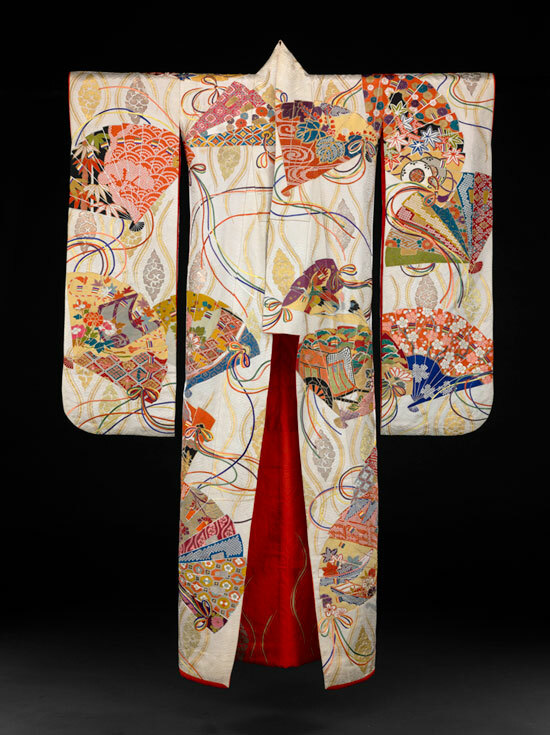 Many of these kimono displayed decorative motifs with symbols of the Imperial Court referring to the Heian Era (794–1185), considered Japan’s Golden Age when the court was in its most powerful, refined, and romantic period. Curator of Textiles Anita Jones with consulting curator Ann Marie Moeller. This exhibition is generously sponsored by The Coby Foundation, Ltd. The BMA presents an exquisite selection of late 19th to 21st century kimono and obi never before on view.